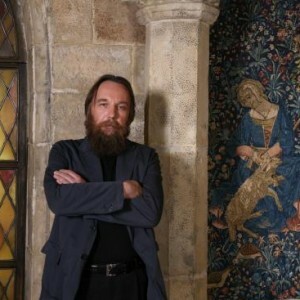 Alexander Dugin, the man known as “Putin’s Brain“, believes that the U.S.-led New World Order is the “kingdom of the Antichrist” and that it is inevitable that it will be destroyed someday. His version of Neo-Eurasianism envisions an inevitable conflict between Eurasia (dominated by Russia) and the Atlanticist New World Order of the western world during which the forces of global liberal hegemony will be defeated. In simpler terms, he is fundamentally convinced that someday there will be a major war between Russia and the United States which Russia will win. Before you dismiss Dugin as a “nutjob”, you should be aware that he is a professor at the top university in Russia, he is a frequent guest on all of the top Russian television networks, and his books are extremely influential. Dugin’s writing about Eurasia was making waves long before Putin took office or ever came up with the idea for a “Eurasian Union“. If you want to be honest about it, much of what Putin is promoting now had its genesis in the work of Alexander Dugin.